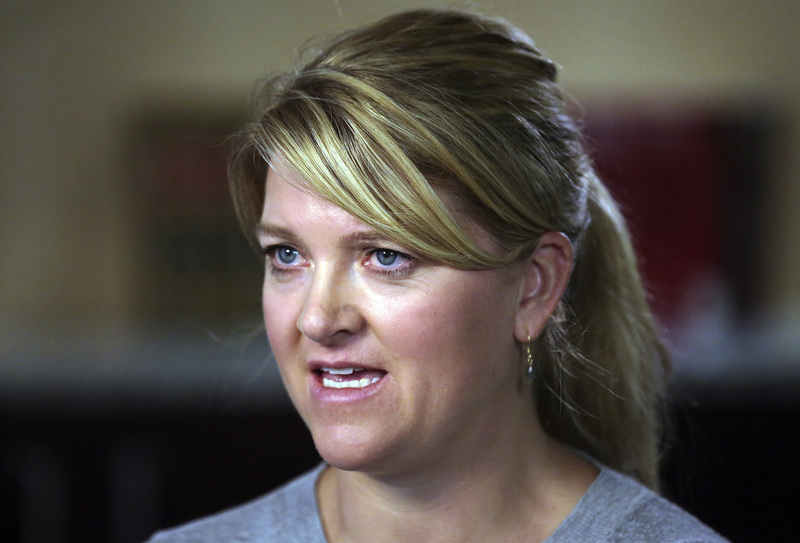 SALT LAKE CITY (AP) — A Utah nurse who was arrested for refusing to let a police officer draw blood from an unconscious patient settled Tuesday with Salt Lake City and the university that runs the hospital for $500,000. She said she also plans to give a portion of the $500,000 to a nurse’s union and help lead a campaign to stop physical and verbal abuse of nurses on the job. A spokesman for Salt Lake City didn’t immediately return messages seeking comment. Wubbel was following hospital policy when she told Payne he needed a warrant or the consent of the patient to draw blood after a July 26 car crash. The patient was not under arrest or suspected of wrongdoing. She was released without being charged but has said the incident left her feeling terrified and bullied. In a call for changes, Wubbel and her lawyer released the video they had obtained through a public records request. Brown said in a disciplinary letter that he was “deeply troubled” by Payne’s conduct, which he said brought “significant disrepute” on the department. Lt. James Tracy, a police supervisor who ordered the arrest of the nurse, was demoted to officer and also is appealing. He said he suggested Payne consider handcuffing the nurse and that his superiors had never informed him of the hospital’s blood-draw policy, according to appeal documents. Wubbels said she was relieved at the discipline and would be disappointed if it’s overturned, though she stressed that decision is out of her control. New idea: Why not have all public employees obtain licenses & insurances like other professions? Then, when they behave badly on the job, THEY pay for it, not the taxpayers? They lose their license, pension, benefits, and never get to work in the public sector again. Sounds like a solution to a major problem. 1. Public Employee on a power trip hurts a Taxpayer. 2. Taxpayer sues the government for damages. 3. Government uses all taxpayers’ money to pay the victim Taxpayer because what the Public Employee did to victim Taxpayer.